I decided to add some preload to the rear mainly because I will soon be riding with some luggage and I’m afraid the bike will go “tenere” on me. My old Tenere 660 had a suspension issue when loaded with luggage and gear. The issue was that the suspension compressed so much that the bike would nearly tip over when put on the side stand. Granted, I had lowering links installed (with a shortened side stand), but it was very annoying still. The following is a description of what I did to my bike. It’s not intended as instructions to go fiddle with yours. Don’t touch your bike if you are not knowledgeable of what your are doing. The rear suspension adjustment is relatively easy and quick to do. 4A first tap open the upper locking ring. Some WD40 on the threads will not hurt. Consider also drawing a mark on the ring and shock to be able to tell if you are getting the parts moving. 4B tap the lower ring to where you want it. Be carefull not to go too far and run out of thread. On my bike the spring wanted to rotate with the ring, but I see no harm in that. 5. Reassemble the bits you took off and you are done. The end result is a bit surprising. I though that the adjustment would not have a much of and effect, but the bike sags much less now. The downside is that the seat height went from perfect to too high with no luggage. The bike feels now exactly the same as my old 690 Enduro. A bit too high. The first pic shows how much thread is visible above the rings after the adjustment. Just tried it. The damn locking ring doesn’t move at all! Put some WD40 on the thread und will see tomorrow or next weekend. If you can get someone to assist by tapping the lower ring in the other direction, it should break free. I did it today. Testride on this weekend. You can do this without lifting the weight off, also if you leave the brake res in place but remove the airbox cover it’s reachable. Either or I suppose? The lock ring does need a good smack to loosen, sounds worse than it really is. Improves the bike I think, feels better damped over bumps and stands better too! Enjoyed catching up with this, only picked mine up a fortnight ago and am loving it so far. I did this and now hear a knock as the suspension fully extends when get a little bit of air. Is this normal do you think? Works great. Maxed my tension out. Much better offroad. I did this a few days ago as well. It would probably be great for a 6′ tall kid that weighs in at 120 pounds. Still a trash rear suspension that needs some serious attention. I feel like I can mentally tell the difference, but if someone had done this over night with my knowledge I would be none the wiser and just as disappointed. Still worth the work so you get more familiar with your machine. Great write up.  Can 250Rally stock rear shock hold 120kg of weight (rider+luggage) when fully opened? Or will it be a must to change rear shock to better one to hold such weight? I’m not sure I understand the question, but 120kg is asking a bit much. Yes’ I’ve seen the bike loaded up with a lot of gear, but if that is what you are planning on doing regularly, I would consider upgrading the suspension. I dialed mine down today. Prior to this the bike really sagged with my weight. Now the seat is higher. I have not noticed the bike bottom out on rides. I had little expectation for a change but am pleasantly surprised. This is no motorcross bike but the change helped. To me the stock shock was too soft. I replaced with Hyperpro type 461. Well worth the money, the bike became firmer and more steady in the twisties. I have lowered the height of my CRF 250 Rally but now under heavy weight (long trips) the suspension is sagging too much. Would adjusting the spring load be enough or do you recommend a change of spring? Since you have lowered the bike and plan on adding a lot of weight on the bike it may well bottom out if you ride it “hard”. It’s easy to recommend upgrading the rear shock, but we all know it’s not that cheap. Yes it won’t be cheap.